Natrunsfar: Boston Training Recap - 11 weeks Till Race Day! Boston Training Recap - 11 weeks Till Race Day! I can't believe the Marathon Olympic Trials are only 11 days away!! We purchased VIP tickets to watch the race downtown and I can hardly wait. The Olympic Trials will not be back in LA for a very long time and I think this is going to be an epic experience. February is always a beautiful month in Los Angeles. For those of you traveling here for the LA Marathon, you are going to be in for a treat (I'll be kicking myself if it rains all weekend!). Beautiful blue skies, cool weather for running, gorgeous sunsets. The city is going to be on fire the weekend of February 13th!!! Running in LA in February is pretty incredible. Training is going really well. I am so happy that my body feels great and is responding so well to the training plan. I feel so happy running and I look forward to every workout. I get to run pain free!! I am in the space where I smile at some part of every single run. Mileage really ramped up for January. I ran 206.5 miles - the most I have ran in... well, I can't remember. It definitely hasn't been since the summer of 2014. It honestly didn't feel like a lot of miles, which means my body is adapting to running, my fitness is making it's way back and I am going to keep plugging away. 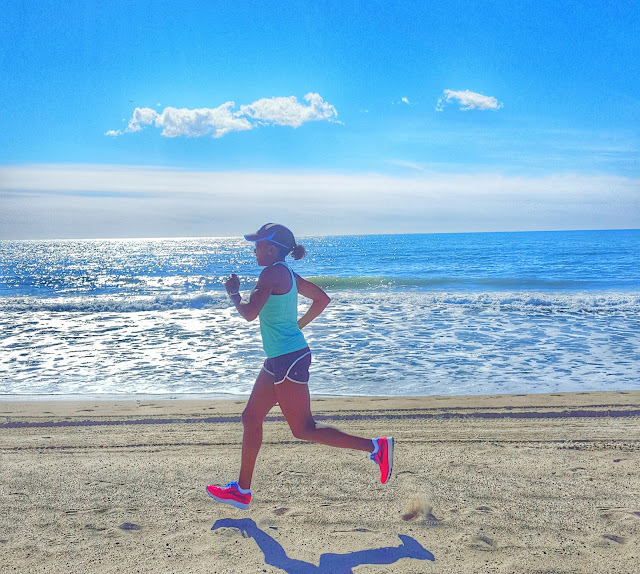 I am racing the Surf City Half Marathon this Sunday! If you haven't done this race, put it on your bucket list! I went last year to cheer on my friend and had a blast! The weather is incredible in Huntington Beach, the course is picturesque and fast + it's a total party! Focused on hills on this run. Lots of rolling, a long downhill, a few intense uphill, flat and more rolling hills. I found this awesome tart cherry concentrate juice from Whole Foods. 2 tablespoons each day helps inflammation and is great for runners. 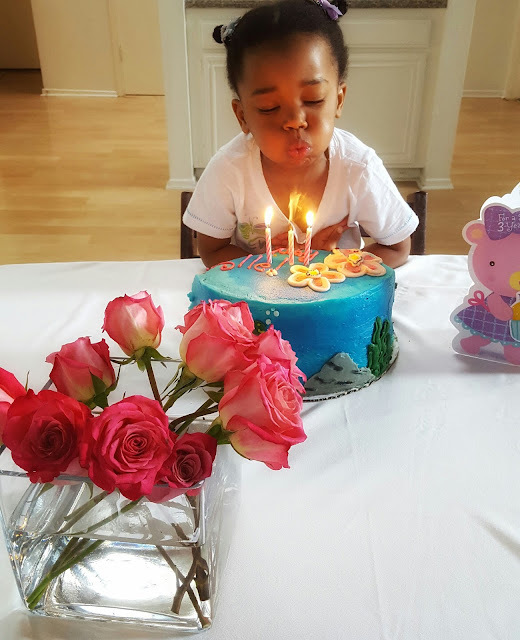 And we celebrated this little one's 3rd birthday on Saturday!!! 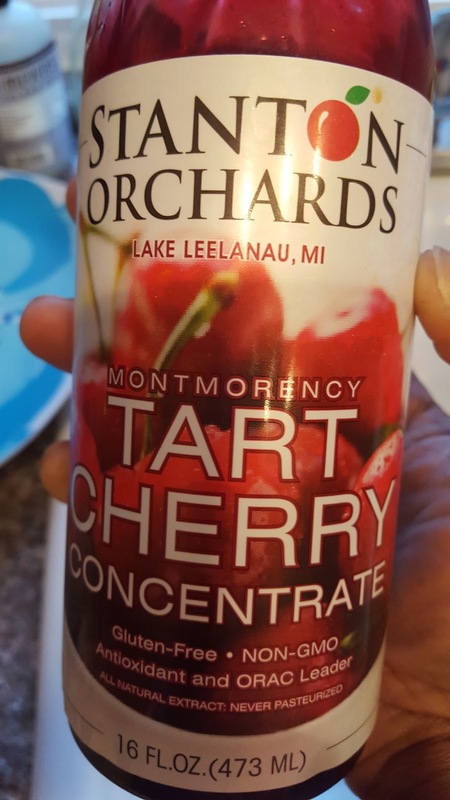 Do you drink tart cherry juice? Are you going to watch the marathon Olympic Trials?